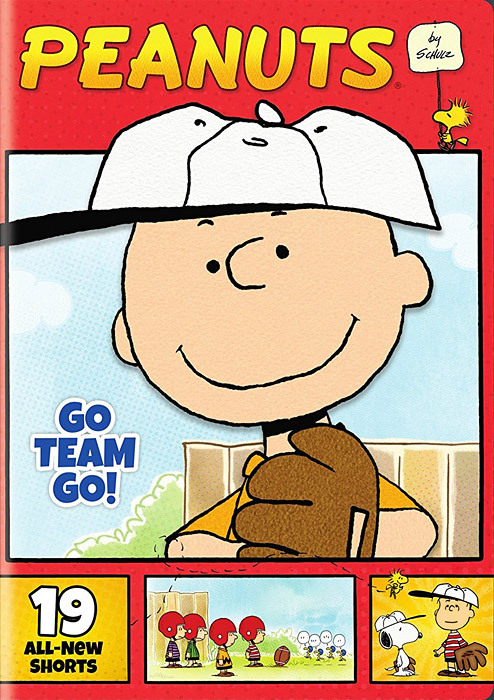 Peanuts By Schulz: Go Team Go!, a 2-disc DVD set containing 19 more of the new Peanuts shorts that aired on the cable channel Boomerang, is now available from Warner Home Video. This is the second DVD set of the shorts Warner has released. The shorts were created by French animation studio Normaal Animation and first aired in France in 2014, and then in the United States in 2016; there are 104 in all. Each short is 6-7 minutes long, and is based directly on the comic strips by Charles Schulz. Drawn in a traditional 2D animation style, they were designed to be reminiscent of the printed comic page. The shorts were newly dubbed into English for the United States broadcast and DVD releases. Peanuts By Schulz: Go Team Go! was released on April 25, 2017, has a suggested retail price of $18.99, and can be ordered from Amazon.com or any other online retailer (barnesandnoble.com, target.com, walmart.com, bullmoose.com, etc. ).